We would all love to drive, let alone own a 1968 Shelby GT500 KR. But for those who aren’t so fortunate there’s still a way we can all have one…only a bit smaller.. and made from paper. 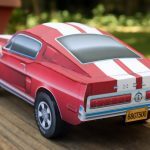 And whilst this reminds us of the amazing full size paper 1969 Mustang from a few years ago this one is just a bit smaller. Small enough for your desk. Back in 1968, Ford produced a fairly limited number of Shelby GT500 “King of the Road” Mustangs. 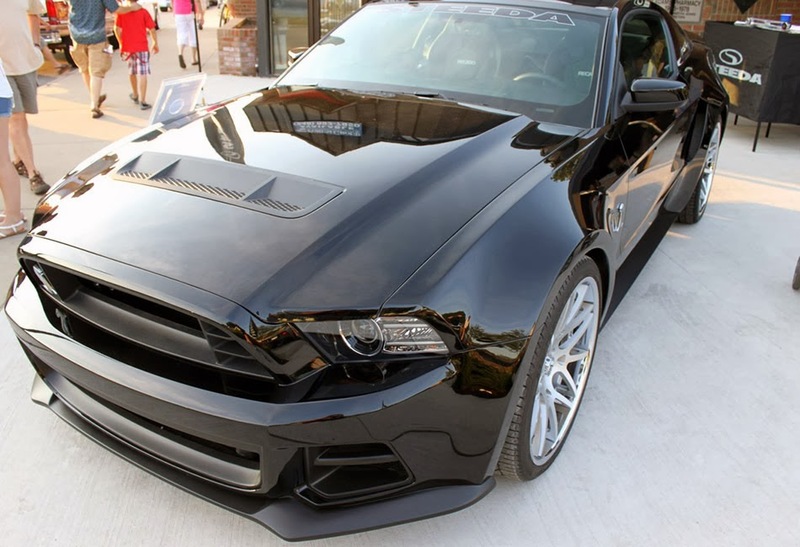 Conservatively rated at 335hp, the Shelby GT500 KR easily produced more than 400hp. 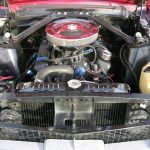 With a 428 Cobra-Jet engine, a fiberglass hood and trunklid for weight savings, and a serious number of extra air scoops and vents, an all-original 68 Shelby GT500 KR with matching numbers is seriously valuable. A red 68′ just like our model sold for $110,000 at the 2014 Barrett-Jackson auction in Scottsdale, for example-and if the numbers had matched, it might have sold for a lot more. 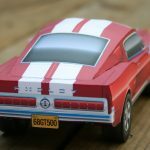 If you’re like most of the people working here at Blue Springs Ford Parts, an original Shelby GT500 KR is probably a little outside your budget. 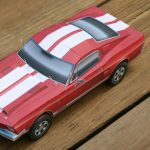 Fortunately, there’s an affordable alternative: a paper version of this most famous Mustang. All you need is a printer, a hobby knife, some glue, and this free PDF. Finally, Jesse at PaperCruiser.com (the creator of our model) made a video that will walk you through the assembly process. © 2014, 67mustangblog. All rights reserved. 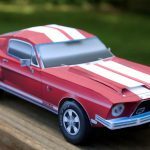 This entry was written by by 67mustangblog.com (67mustangblog) and posted here on Tuesday, June 24th, 2014 at 8:04 am and is filed under GT500, News, paper mustang. This article was not written by us, rather gathered using RSS feeds listed here. We take no credit for this article. You can leave a response, or trackback from your own site. Hello very nice website!! Man .. Excelleent ..
publish, we need develop more strategies on this regard, thank you for sharing.